Virat Kohli is at such a stage of his career that 60s and 70s are new thirties for him. 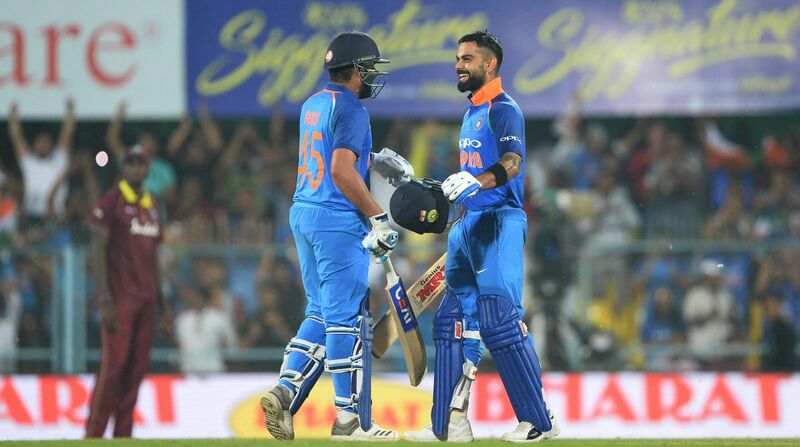 Indian skipper Virat Kohli and his deputy Rohit Sharma scored magnificent tons as Men-in-Blue thrashed the West Indies by eight wickets on Sunday in the opening match of the five-match ODI series. 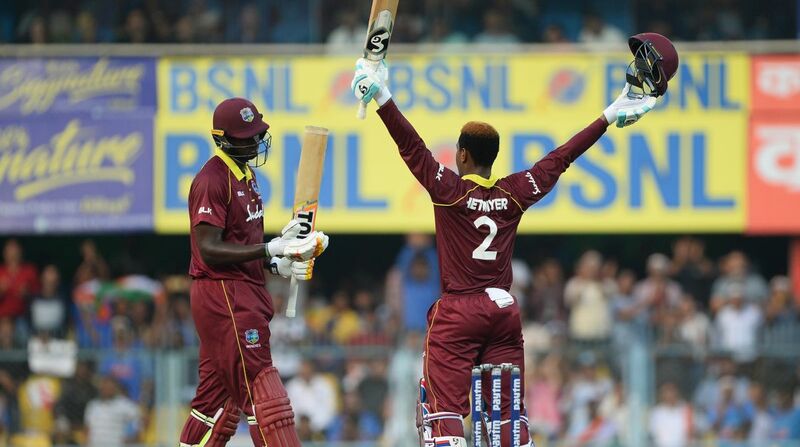 Though, in the end, the first ODI turned out to be a monotonous affair, but West Indies batsmen, especially young Shimron Hetmyer (106 runs off 78 balls) played a breathtaking knock to take the Caribbean side to a fighting total. Any other day, Windies’ 322 in 50 overs would have been a very good total, but the duo of Virat Kohli and Rohit Sharma made a mockery of the total as Indians chased it down with utmost ease with 47 balls to spare. Batting first, West Indies’ start was not really good as debutant Hemraj fell in the fifth over, but Windies batters kept playing attacking shots throughout the innings despite losing wickets at regular intervals. Don’t Miss: India vs West Indies | Is Virat Kohli planning an early retirement? With the help of a fifty from Kieran Powell, a century from Hetmyer, and handy contributions from the lower order batsmen, including skipper Holder, the Windies set a challenging 323 for the hosts to chase. However, in the end, the target of 323 was not enough for Windies to win the match. Indian skipper Virat Kohli is at such a stage of his career that 60s and 70s are new thirties for him. Nowadays, Virat Kohli is in such a terrific form that one can say that he is having a hundred for breakfast. 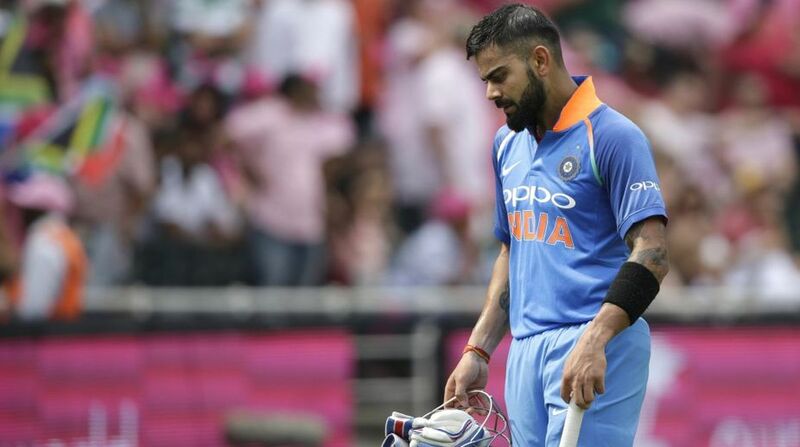 Virat Kohli, who is also known as chase master and run-machine for his ability to score runs under pressure, scored another century as Team India defeated West Indies by eight wickets. It was Virat’s 36th limited overs hundred and it has come in his 204th ODI innings. To prove the point, even the ‘God of Cricket’ Sachin Tendulkar took 311 innings to score 36 ODI hundreds. It seems the way Virat Kohli is scoring hundreds Tendulkar’s record of most ODI hundreds (49 centuries) is not far away from the 29-year-old Indian captain’s reach. 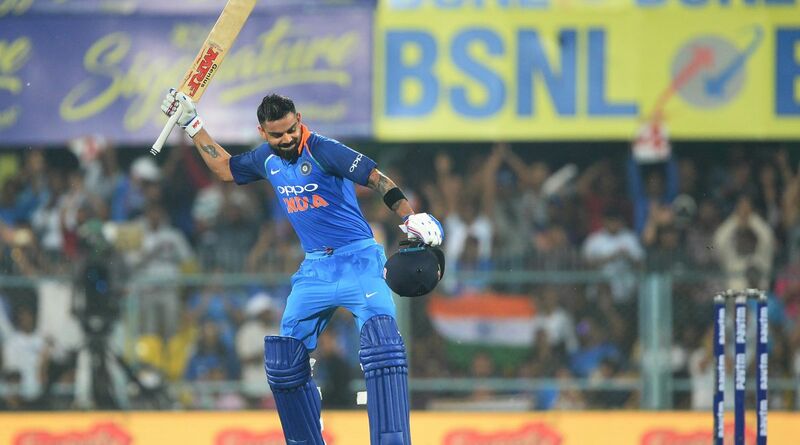 Virat Kohli’s century against the West Indies on Sunday was also his 14th ODI hundred as captain and now he is only behind Australian great Rickey Ponting who has scored 22 ODI centuries as skipper in 220 innings, while Virat has already scored 14 tons in limited overs format in 50 innings as captain. Virat Kohli often creates controversies with his team selection, be it dropping Cheteshwar Pujara from the first Test against England earlier this year or playing KL Rahul in all the five Test matches despite his poor form. The opening ODI at Guwahati was no exception. On Sunday, when Virat Kohli revealed the playing XI against the West Indies, everyone was surprised as Kuldeep Yadav was not included in the squad. Ahead of the match after BCCI announced the 12-member squad, while almost everyone conceived a choice between Mohammed Shami and Khaleel Ahmed, the captain decided to drop Kuldeep Yadav. 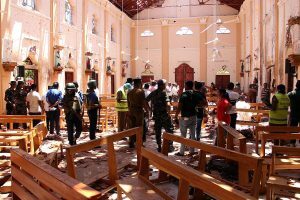 The other factor is senior Indian opener Rohit Sharma, who is often called the hitman due to his ability to smash the ball for the maximum. Once set, stopping Rohit Sharma from scoring a big total is almost impossible. The Mumbai batsman is the only cricketer in the history of cricket to smash three double hundreds in ODIs. Rohit Sharma’s highest score in ODIs is 264, a target many batsmen have failed to achieve even in the longest format of the game. Sunday’s game was no different. Though Rohit started his innings a tad slow, but within no time started smashing bowlers all around the park and finished the match with a six to bring up his sixth 150 in the One Dayers. After his unbeaten 152 runs against the West Indies, now Rohit Sharma has six 150 plus scores in ODIs, which is most by any batsman. Sachin Tendulkar and David Warner have five 150 plus scores each in ODIs. 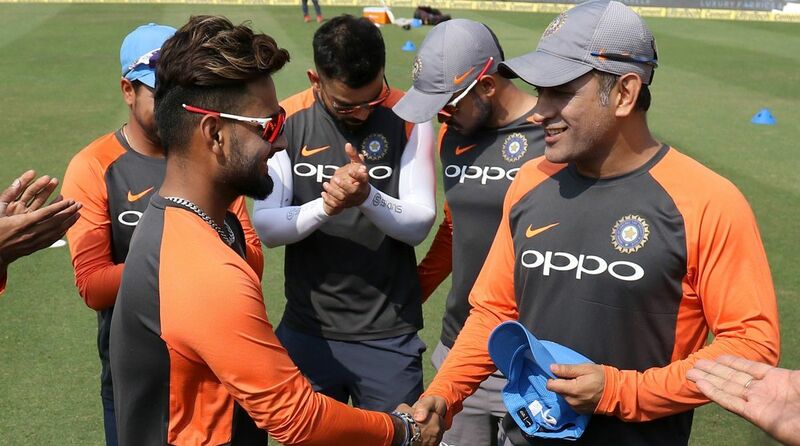 Young Delhi batsman Rishabh Pant on Sunday received his maiden ODI cap from former Indian skipper Mahendra Singh Dhoni before the start of the first ODI match between India and the West Indies on Sunday. Though on Sunday, Pant did not get a chance to bat, but when the 21-year-old wicket-keeper batsman will get his chance, his aim would be to fix his spot in the World Cup squad. Shimron Hetmyer: Future of West Indies cricket? Young West Indies batsman Shimron Hetmyer walked in to bat at number four for Windies when his team was struggling at 86/3. An explosive century from Hetmyer helped his team to put a respectable total of 322. Hetmyer took just 74 balls to reach the three figures mark with the help of six boundaries and six sixes. The century was also Hetmyer’s third ODI century and he took just 13 innings to do so, and in the process became the fastest Windies cricketer to achieve this feat. Before Hetmyer, the record was held by the great Sir Viv Richards who has taken 16 innings to score three hundreds.